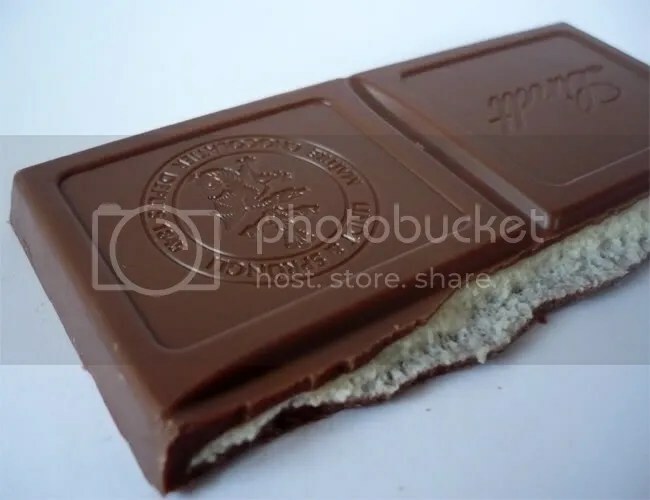 This bar seems to be a chocolate only available during summer as well. At least it was taken out of Lindt’s range by the end of September, that’s why I guess it is like that. The milk ‘n honey bar is wrapped in a light yellow, honey like wrapper, and just like the other two bars of this range, it is stabilized by a cardboard. “Dream and enjoy” is their slogan. The milk chocolate is soft and milky, has a good melt and comes with the familiar Lindt-quality. The inner part reminds me of my early childhood. Some of you probably know this situation: You cannot sleep and your granny or mother makes you a cup of hot milk with honey. Geek, that’s exactly the way the filling tastes without the chocolate part, and I really enjoy this rather sweet honey trip down memory lane! Dream and enjoy goes very well with this chocolate treat, at least for me. 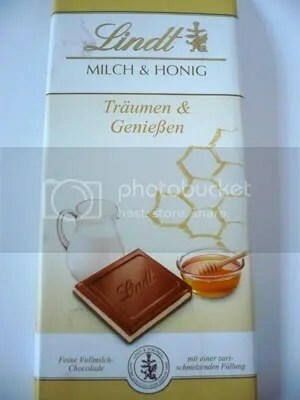 It is a pity I did not find it earlier, as I really would have bought the one or other bar to give them away, as this is a really nice treat, especially if you’re in for honey and milk chocolate!